In a piece I wrote last year for Zero Books’ The Resistible Demise Of Michael Jackson, I argued that the sense of self-conscious scale and event in 80s music came partly as an after-effect of Thriller’s colossal sales, which suggested an inflated reach for pop, an expansion in the limits of what was commercially possible. 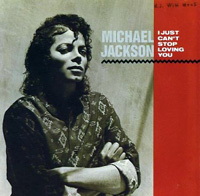 This was a fantasy – no record has come close to Thriller’s sales since – but it created a moment in which pop, and specifically Jackson, could sit at the centre of a celebrity universe. Ronald Searle turned 90 earlier this month, and to celebrate that, the Cartoon Museum here in London has an exhibition of his work. He joined the army in 1939 and his first St Trinian’s cartoon was published in 1941. The following year he was taken prisoner by the Japanese, and remained in their hands for the next three and a half years, much of it working on the so-called Death Railway in Burma. His great period was the 1950s, when the bulk of his St Trinian’s and Molesworth (this with Geoffrey Willans) material was published. It’s easy to forget that most of his work has not been cartoon school humour: as well as countless other cartoons, he published his war drawings, and did a lot of other reportage and general illustration for Punch, Life, the New Yorker, plus some work in animation, sculpting commemorative coins, film design and credits, and many other areas. Brazil are one of the giants of pop football but got off to a shaky start in their first game – they’ll be looking to pick up points to stay in touch with this group. The Cote D’Ivoire are full of beans after an exuberant win over a strong Portuguese set-up. Voting on this match finishes at midnight of Monday the 5th April. I’m beginning to realise quite how bad I was at hearing music when I was 14. My reaction to “La Bamba” back in 1987 was to sulk, roll my eyes and dismiss it as mere necrophilia. Obviously this was missing the point that not all covers need be faithful – and even ones that seem faithful can be subtle restorations, for example by reclaiming a dead rock-and-roller for Latin pop. 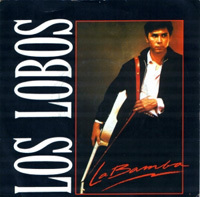 “La Bamba”‘s relationship to Los Lobos’ career, Valens’ original and the Latin charts has been well covered by Jonathan Bogart here and you should read that as soon as you’ve read this. I have not seen a single film in the cinema this year*. There are a number of reasons for this, many of which I will approach in this hopeful series of posts about my somewhat oddly dependent relationship with film. But just to make it clear that this is an unusual state of affairs, I saw 132 films in the cinema last year. This year none. I’ll probably tell you what the ten worst ones were over the next few weeks. But I really, really like going to the cinema. So the real reason I have not been to see a film? I was ruling myself out of the Film 2010 job. It was not a job I wanted and it struck me as someone who occasionally sees the odd film and reviews them, I was clearly top of the bookies list. Turned out that when I went to the bookies I wasn’t. Mark Kermode was. Well he hasn’t got it (not that he wanted it as he said effusively last week on his podcast in the manner of a man who knows he has not got it). But I, like the bitter grape eating Kermode, would not want to do it. The Film Programme, as it is nominally called, deserves someone better that Barry Norman (a rather dull pedantic reviewer as you can see below the cut), Jonathan Ross or indeed Mark Kermode. And Claudia Winkleman may just be it. The Portuguese left the pitch after their disappointing first match with a look of steely determination in their eyes. they knew what was coming next, which was that they didn’t know what was coming next: the unpredictability of Korea DPR. Voting on this match finishes at midnight of Sunday the 4th April. Finally! The Pop World Cup on Resonance 104.4 FM in London catches up with the action on Freaky Trigger – ALL the matches on the show (at time of posting) are live and votable. Peter Baran and Roger Bozack bring you extended highlights of the Netherlands vs Japan, Cameroon vs Denmark, Italy vs New Zealand, and Paraguay vs Slovakia and leave you with “Stay Close” by Barcelonan four-piece Delorean.